927—1,655—4,933 are just some of the numbers we've been using lately to help share the tremendous impacts being made in Sudan and South Sudan through your generous love. But I believe for most of us 1 is the number we are most moved by. One child rescued. One woman's life restored. This is how movements of revolutionary transformation begin—one small act of love; one life at a time. Lucy is one such child. When Lucy was very young, her father was killed as raiders attacked their cattle in the village of Buya. In unstable communities rampant in South Sudan, death of one parent can quickly lead to extreme poverty for a family and often mothers and children are left behind vulnerable. 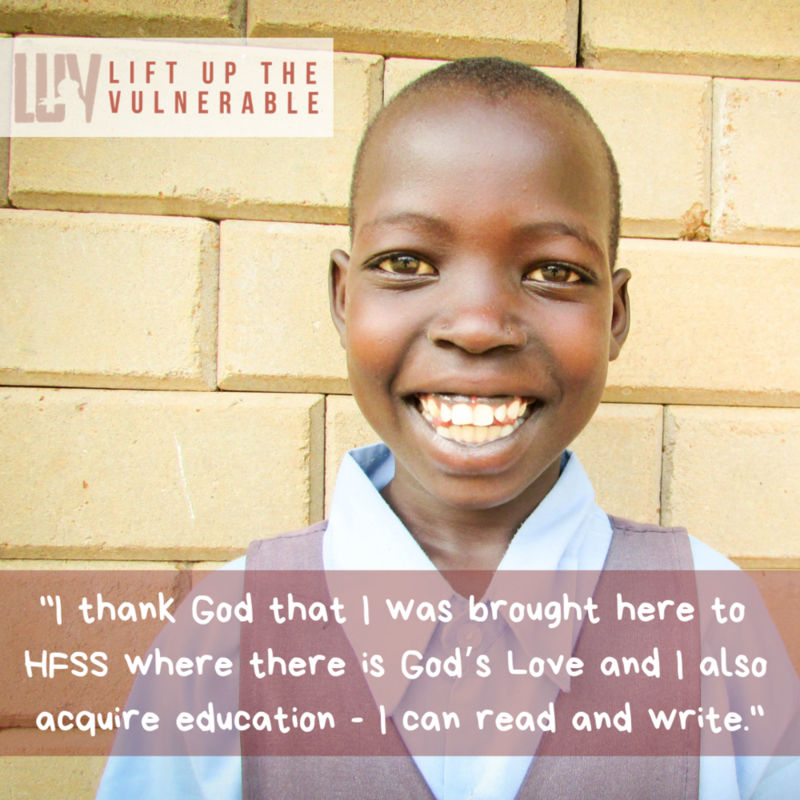 Lucy was around 6 years old when she was at high-risk of trafficking and brought to HFSS. Today, through the intervening power of Love in Action, Lucy is 10 and in grade 4. She shares, "When I was in the village there, I used to help by getting some greens from the garden and even fetch some water. And there was no school in our village. But I thank God that I was brought here to HFSS where there is God’s Love and I also acquire education - I can read and write. Thank you all." When asked what "Love" means to her. Lucy said that, "Love is treating someone the same way you expect to be treated." When asked, 'how do you love others" she added, "by doing what is right to do to them and remembering them in prayers always." I think Lucy has deep wisdom for our world this day. I know I want to be a part of a world like hers where one lives with full-heart generosity and friendship. As poet Mary Oliver invites, "Tell me, what is it you plan to do with your one wild and precious life?" Lucy wants to use her one precious life to love others well, study in school, and become a doctor in the future. In doing so you participate in the transformative movement of Love in Action—one small act of love; one life at a time. Join us.